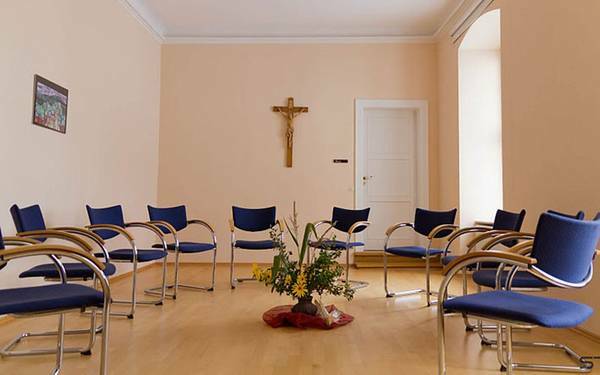 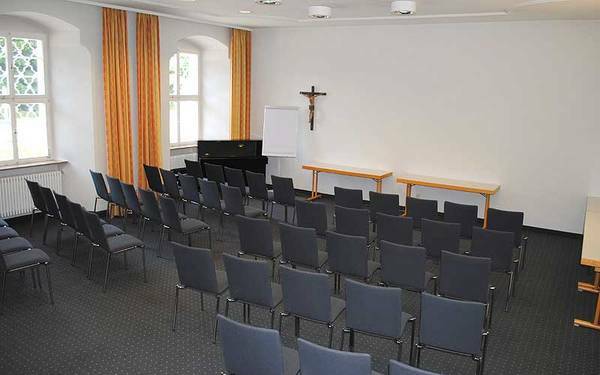 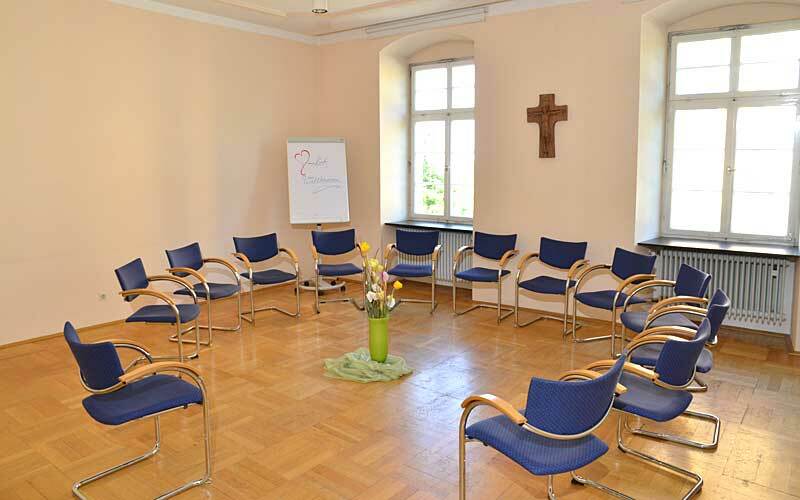 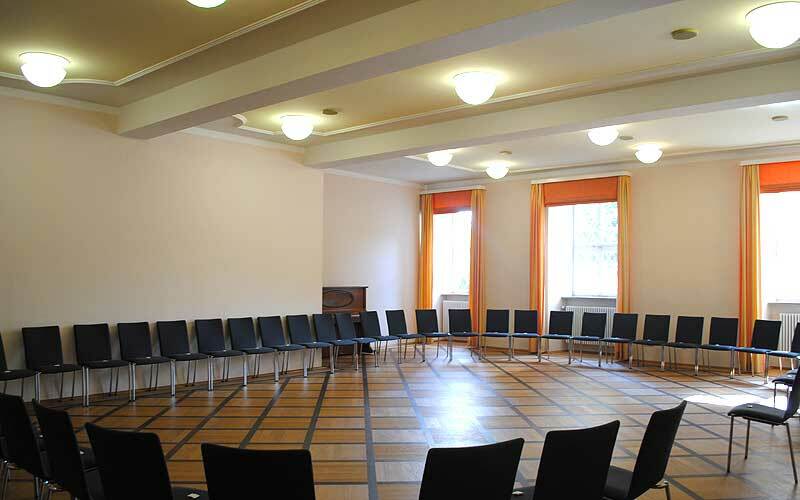 The wide choice of conference rooms and the spacious gardens provide an ideal and individual setting for seminars, closed sessions, workshops, days of spiritual reflection, creative workshops or concert and choir rehearsals. 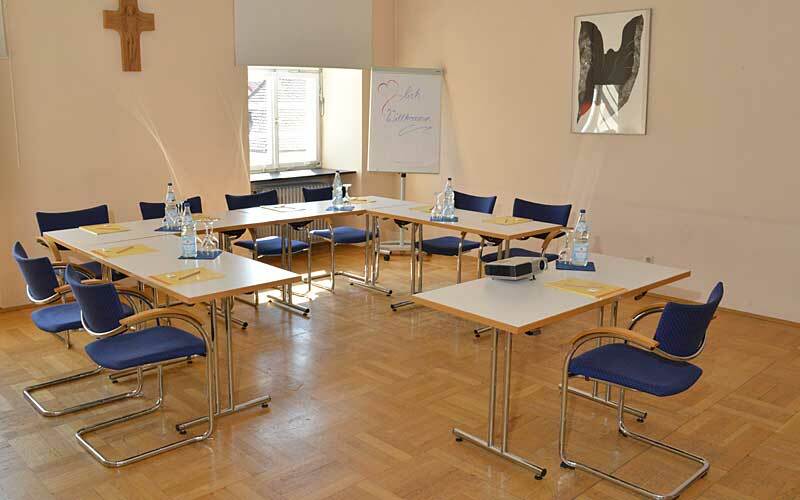 The ten quiet conference and event rooms are equipped with the latest communication and presentation technology. The rooms can be combined in different ways, they all have Wi-Fi, natural daylight, and can be blacked out. We can accommodate up to 250 people attending a seminar. 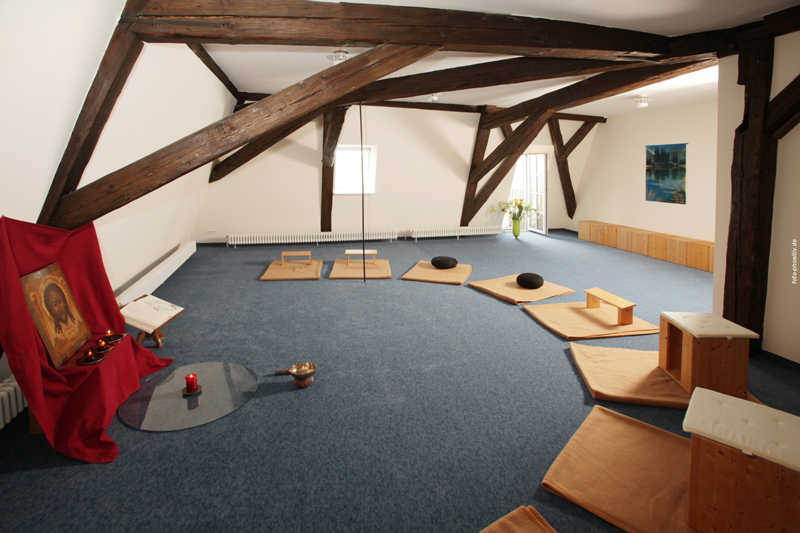 At the end of the day, you can unwind comfortably in our cosy vaulted cellar, or in the summer on our large terrace. 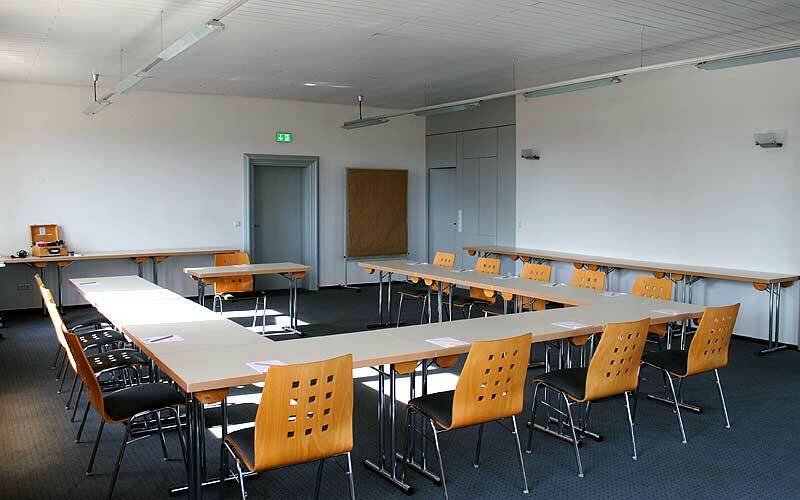 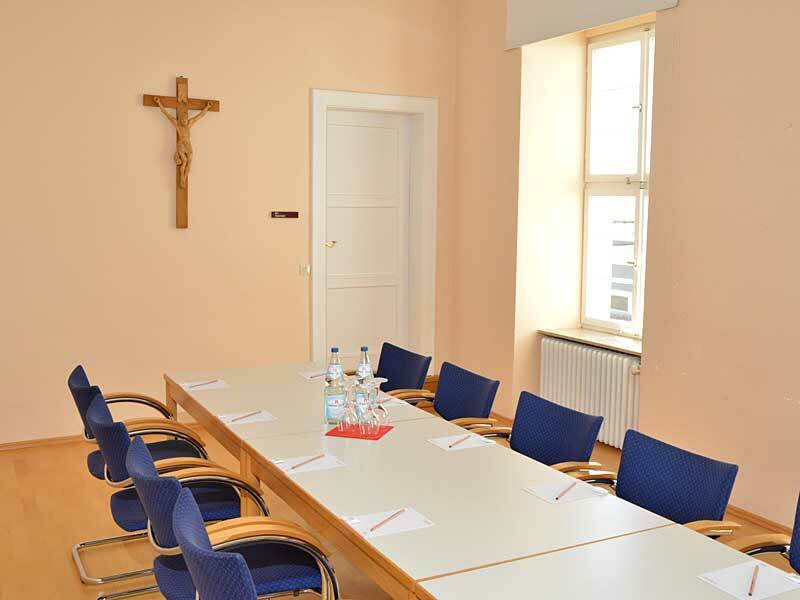 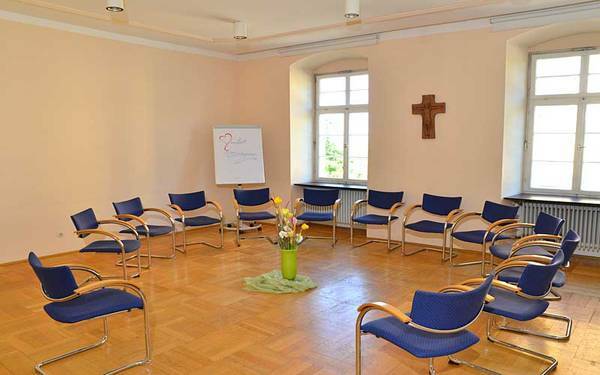 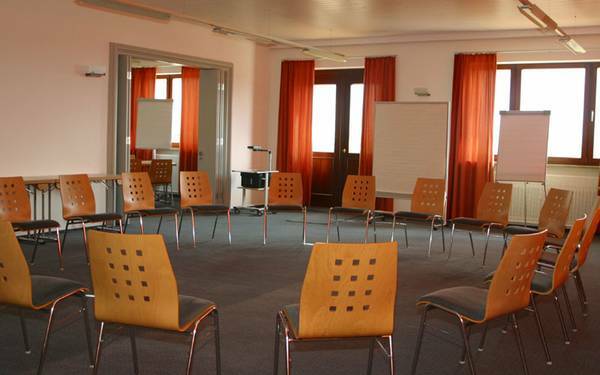 The Schlossblick (castle view) conference room has a large terrace from which you have a beautiful view of the Castle of Ellwangen and the picturesque town. 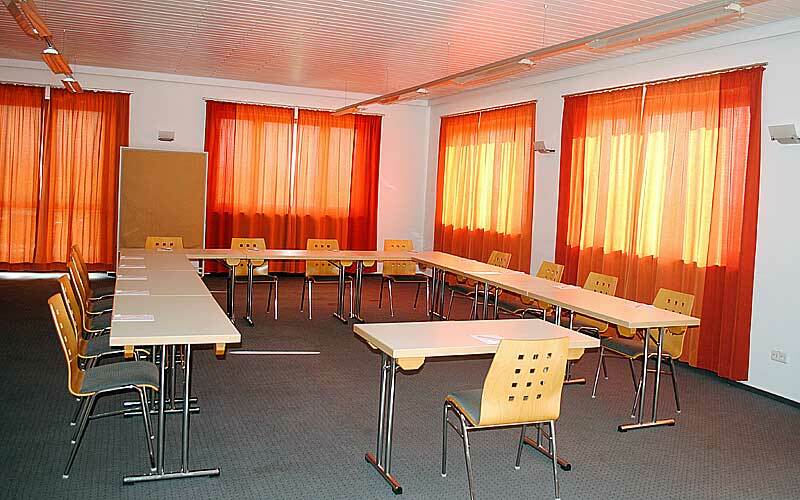 In the summer you will be able to enjoy the warm sunshine and fresh air during the breaks in the seminar. 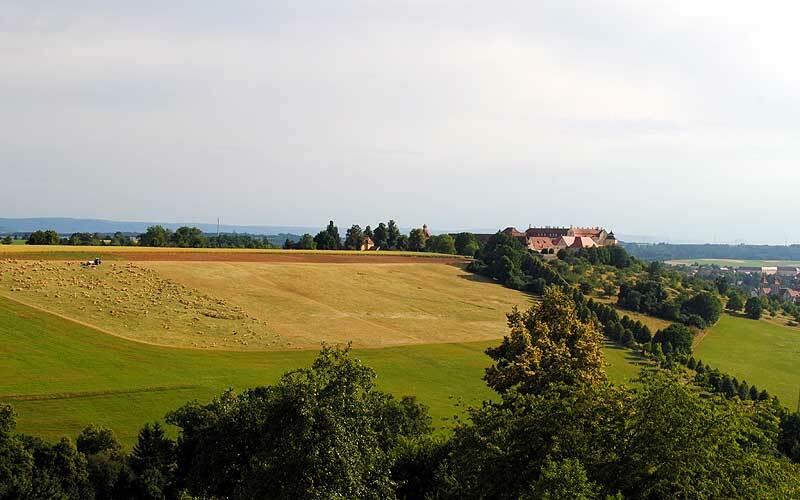 Don’t forget that you can use the extensive gardens as an inspirational element for your event. 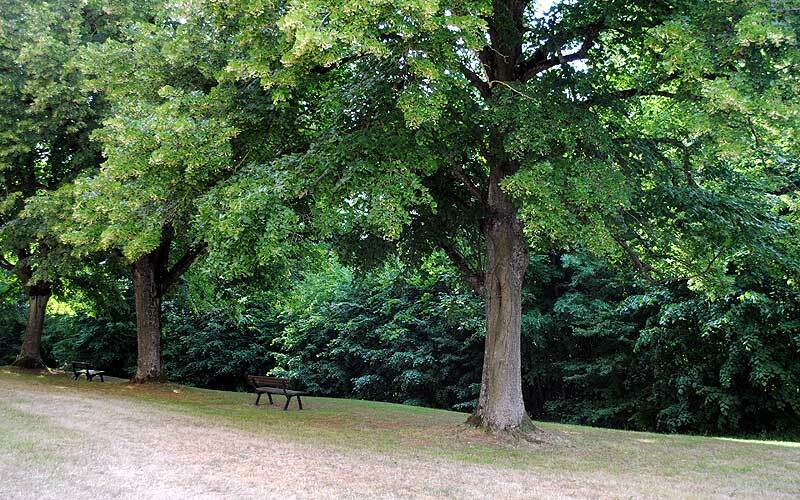 There is a summer house and barbecue in the large garden, and you can sit in the shade under the old apple trees. All around the house you will find comfortable places to sit. 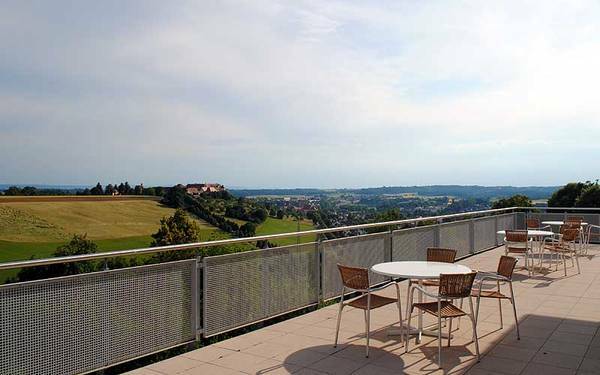 We serve coffee during the breaks in the light and airy conservatory, from which you have access to the terrace – another special advantage in the summer.